DALLAS, TX (KTRK) -- Dallas Cowboys quarterback Tony Romo has suffered a broken bone in his back, but coach Jason Garrett would not rule out the quarterback for the regular-season opener against the New York Giants on Sept. 11. Garrett announced Romo's injury on a conference call Saturday, two days after he was knocked out of a preseason game against the Seattle Seahawks after three plays in the first quarter. Garrett said the injury would not cost Romo the season but could not give a timetable on a possible return. 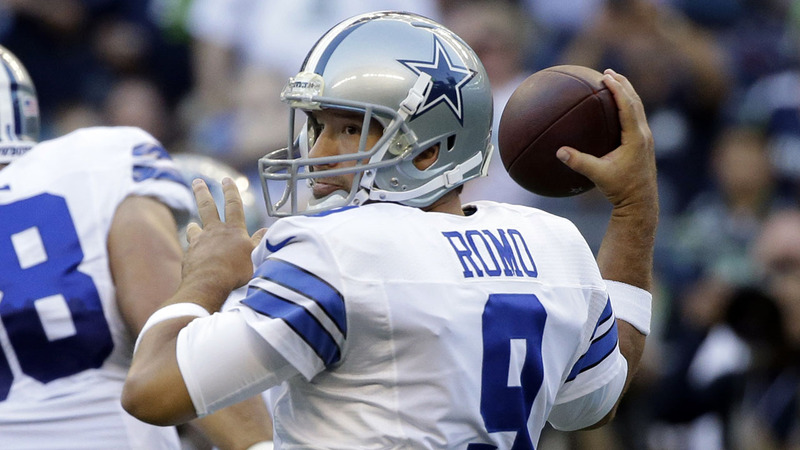 Romo had an MRI on Friday, and the results were learned later that night.